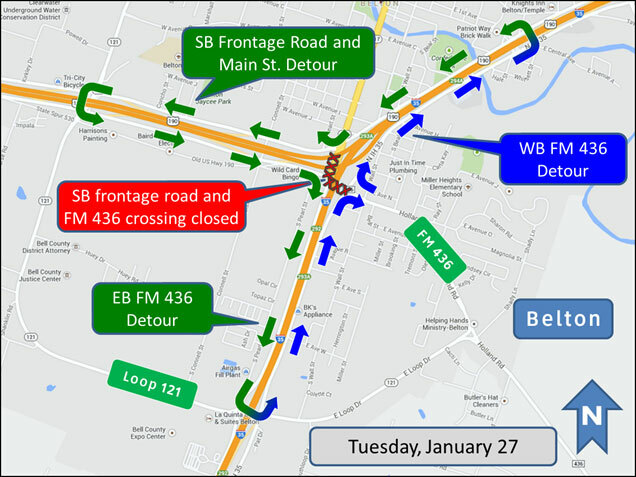 Get ready for a major detour in Belton on I 35 Tuesday night from 7 pm to 7 am. It's all because of construction on that Highway190 Bridge over the I 35 traffic lanes. This how TxDot explains it and they have maps to show you how to get around the detours. 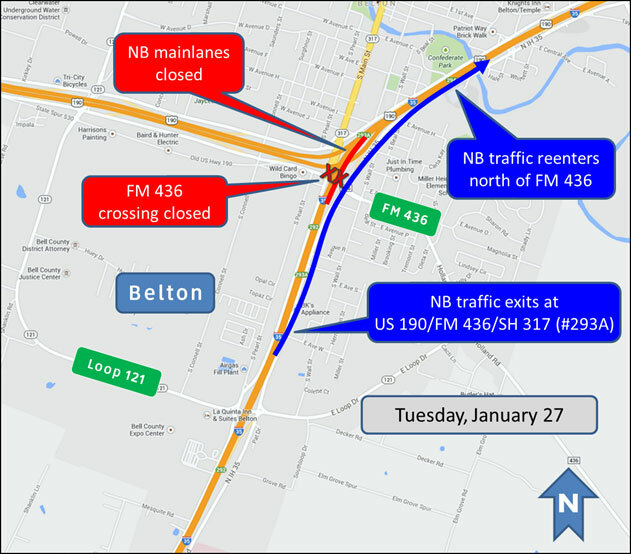 I-35 northbound and southbound main lanes will be closed to all traffic in Belton on Tuesday, Jan. 27, from 7 p.m. – 7 a.m. to allow crews to work on the US 190 direct-connect bridge (flyover) above the I-35 travel lanes. Northbound traffic will exit at #293A (US 190/FM 436/SH 317) and reenter I-35 just north of FM 436 (see Map #1). 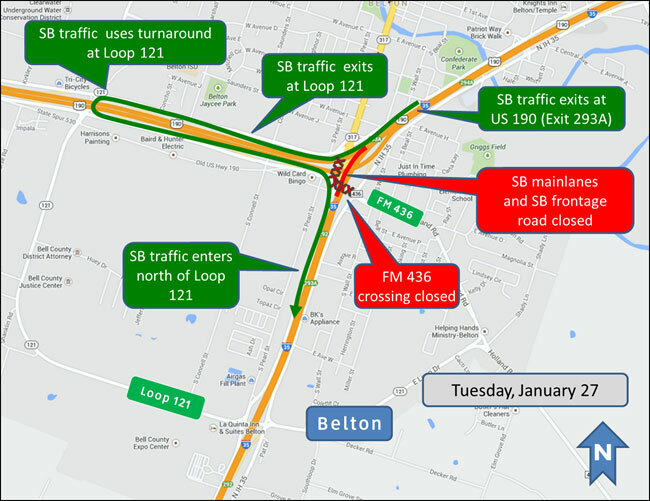 Southbound traffic will exit at #293A (US 190), travel west on US 190 to the Loop 121 turnaround, return to the SB I-35 southbound frontage road, and reenter I-35 just north of Loop 121 (see Map #2). The crossing at FM 436 will also be closed to facilitate the smooth flow of traffic. FM 436 traffic will be detoured north to Central Avenue or south to Loop 121 (see Map #3). Main Street and southbound frontage road traffic will detour onto the westbound US 190 frontage road, turn around at the Loop 121 intersection, and return to the southbound frontage road. I will not lie, I drive that way to Temple in the morning, in the dark and I could not picture what I had to do. I needed a map where I could zoom in and zoom out. I found one, but It still didn't help me see were I needed to get on and get off. I guess I just have to go real slow and follow the signs when I come in Wednesday morning.